Many students of cinema overlook the fact the Eye of the Tiger isn't about Rocky; it's about Mr. T.
By the time the third movie takes place, Rocky had lost the Eye of the Tiger -- the fierce desire to win, and Clubber Lang had it. Rocky lost because he didn't deserve to win. I've been in a slump lately. 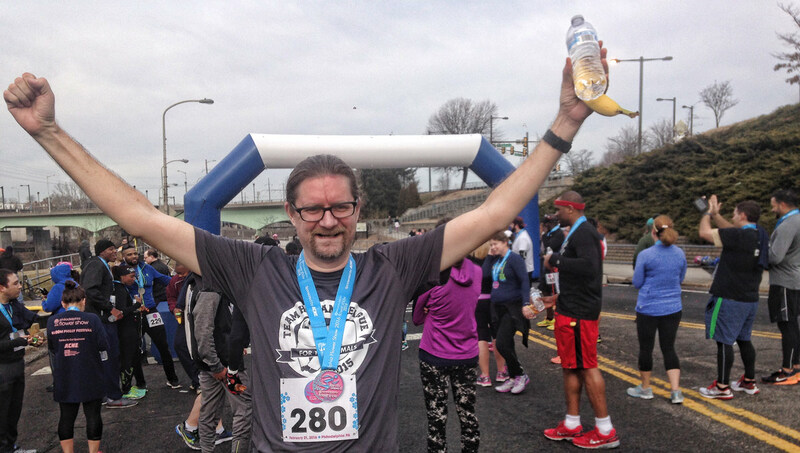 I missed three opportunities to set a new personal record in the Half Marathon and I was feeling slow and, a bit depressed about the state of my running and was starting to wonder if maybe I'd just hit that peak where age takes over.... And then some things happened, things that are pretty much mostly because of the West Philly Runners. I started paying attention to people who were faster than me and realized that we were approaching running from very different mental places. They were all thinking very positively and I was thinking mostly about how I was slow and running hurt. They smiled when they ran, when their bodies told them to slow down, they sped up. And then I read Matt Fitzgerald's How Bad Do You Want It? Mastering the Psychology of Mind Over Muscle which dissects a number of really interesting races (from rowing to the tour de france to iron men & marathons) with gripping storytelling about the races, interviews with the athletes and then a lot of science about what makes some people able to tolerate more pain than others. I started to think that I wasn't slower than other people, I was just shooting myself in the foot with my brain. And ... I started running faster and I think my perceived effort went down. I broke my half marathon PR a few weeks ago in Chicago and felt like I'd broken out of the rut. 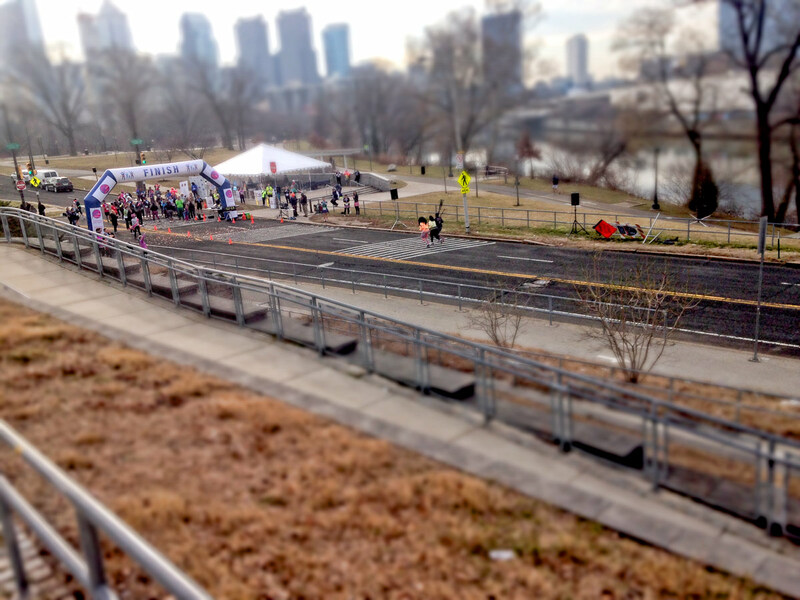 Today's 5k was sponsored by the Philadelphia Flower Show and I wasn't really sure I was going to go -- it was a last minute thing. Finally I figured I'd run over to the race, run the race kind of slow and run home and count it as today's long run. But when I got there I didn't see many people who looked like they were in my age group and I started thinking that placing might be possible and then I thought, Oh, hell, forget running slow, I'm just going to win this whole race. I'm just going to run until I win this whole race. My fastest previous 5k I ran at a pace of 7:19 and people were so surprised at it that I was worried that it was a fluke due to an improperly measured course. I haven't run a 5k full tilt since then (I ran one in December while I was sick and ended up having to stop and puke three times) and I wasn't really sure what my pace ought to but but when the horn sounded a cannonball of people shot past me along Martin Luther King drive and off into the distance. I figured my pace was "in between them and everybody behind me" -- after the first half mile it settled into a big lead pack, me, and then about 20 feet before anybody else. I was the entire chase pack. Around mile 1 someone pulled up along side me and to my horror it looked like he might be in my age group, so I pulled ahead. He responded. I pulled ahead again. He came back. And I remembered something Richard Pogue, one of the WPR's, said to me about a race where something similar happened. He looked over at the guy next to him, while they were both burning up from exhaustion, and said (in his head) I am going to run you into the ground and then you are going to die. So I just took off. When your body wants you to slow down, run faster. By mile 1.5 I started to catch up to the lead pack. There were four or five people way ahead and maybe twenty in a group trailing behind. As people hit the turn around and started coming back I counted them. When I got to the turn around I was in 23rd place, and they all except one looked a lot younger than me. There was one guy in a knitted hat I was worried about. He was in 15th place, about a minute ahead of me. I figured he had to go down. I sped up after the turn around and started reeling people in. 23rd place, 22nd place, 21st place, 20th, place, 19th place, 18th place. There were two women right in front of me, and then then the guy in the knit cap. I crept up on the women trying to distract myself by looking over at the woods and trying to see squirrels nests or birds and trying to think of what street I was passing. Every time you distract yourself from the pain for a second or less it's a victory. I passed the two women with a third of a mile to go and then the awful just swept over me and I started barfing. I'd thrown up in the last 5k I ran and my nephew, who's a bona fide track star, admonished me for stepping to the side of the course to vomit. "Don't stop, throw up while you run," he said, "it discourages the competition" so I puked, vegemite toast and Irish Breakfast tea, and I ran, as fast as I could. With a hundred yards to go, the guy with the knit hat was about fifteen feet in front of me, but I was gaining slowly. I passed him in the last 10 feet, finishing in 15th place overall out of 240 people. 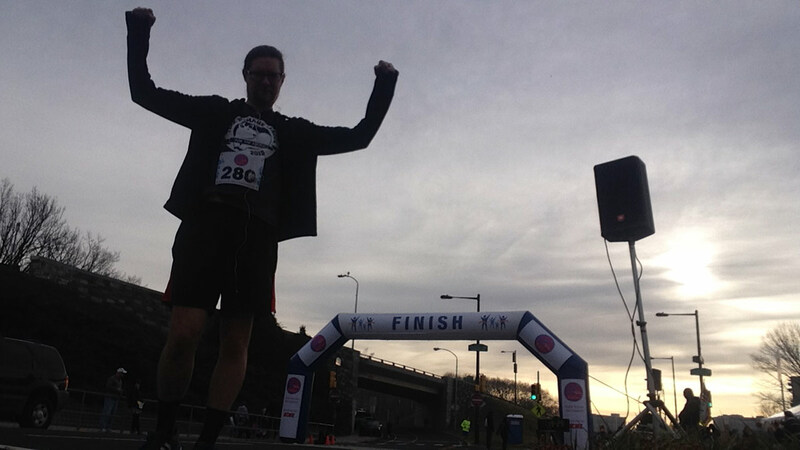 My time was 22:12, with an average pace of 7:08 -- something like 33 seconds faster than my last best time. Clickenzee to embiggen my victory! I ran the same course 3 years ago, eight minutes slower. This morning smells like victory. Go me. I clobbered the guy I was three years ago because I got the freaking Eye of the Tiger back. And thanks to everybody who's been there to help me along the way. I stayed to watch the end of the race. Everybody here won. *** EDIT *** After the results were published, I found out that 2 of the top 5 finishers were in my age group. I snatched third place in the last 3 seconds. Anyway.. glad you got your positive back. I need to find it myself (health issues are getting me down and I'm letting them, which is the wrong path, I know). You are an inspiration. I think it made a pretty big difference. In fact, i'm sure it did.